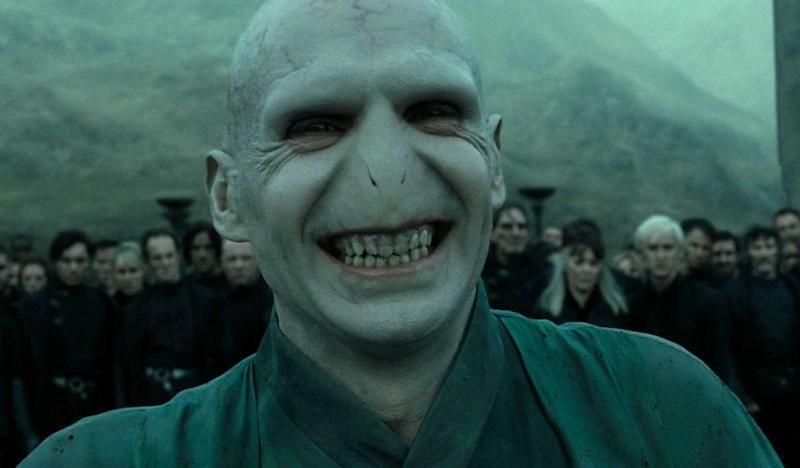 JK Rowling has said that she’s probably alone in pronouncing the name of supreme evil-doer Voldemort the way she first intended it. The writer took to Twitter yesterday, commenting on a tweet by a fan. Rowling picked up on the remark, and indeed, this is the case. “…but I’m pretty sure I’m the only person who pronounces it that way,” she replied. So, it seems that He Who Cannot Be Named’s name has more of a French vibe to it, then. We notice the filmmakers didn’t necessarily adhere to such pronunciation notes, however. Back in 2009, Rowling, while accepting the Legion d’honneur from President Francois Sarkozy, apologised for the name - which is translated as ‘flight of death’ in French. “I want to thank my French readers for not resenting my choice of a French name for my evil character,” she said. “I can assure you that no anti-French feeling was at the origin of this choice. As a Francophile, I have always been proud of my French blood. But I needed a name that evokes both power and exoticism. 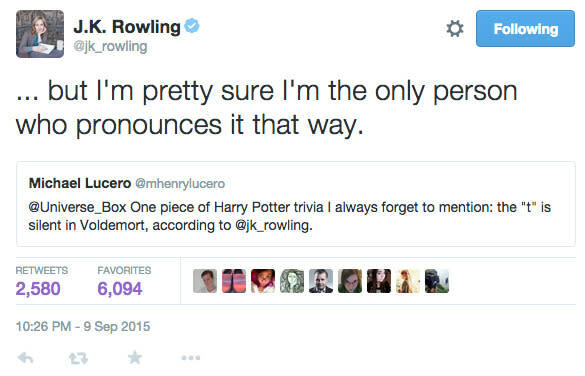 It’s not the first time that readers of the books have found that they’d been pronouncing a name wrongly - see also Hermione, which some only learned how to pronounce correctly after seeing the movies. The post comes after Rowling dropped a possible hint that the house of Hufflepuff could be playing a big role in the forthcoming 'Fantastic Beasts and Where To Find Them’. 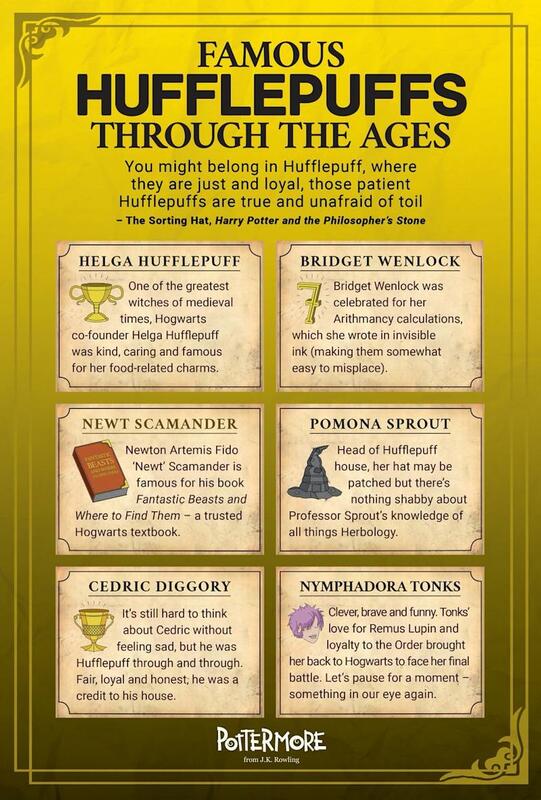 The link lead to a graphic celebrating 'Famous Hufflepuffs Through The Ages’, one of which is Newt Scamander, the star of 'Fantastic Beasts’. Eddie Redmayne is starring as Newt Scamander in the forthcoming movie, alongside Katherine Waterston, Ezra Miller, Samantha Morton and Colin Farrell. It’s due out on November 18, 2016.